Has CNN and the Democrat media gotten tired of doing retractions yet? How many have they done in the last month to apologize for their fake news? A dozen? And that’s only the lies that are so blatant, so obvious, and so easily rebuked, what about the dozens of other lies they tell that they get away with? 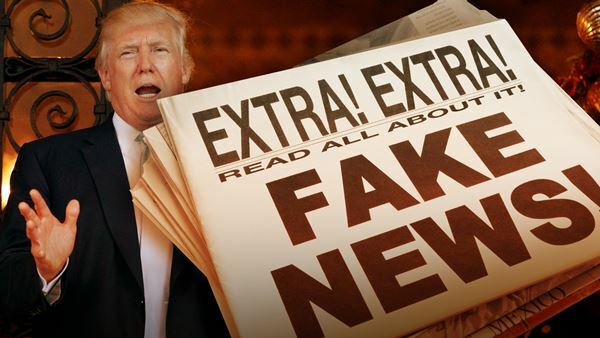 The Democrat media is reeling under the delusion that their lying, obfuscating, and warping of everything President Trump says and does is not being exposed and their fake news propaganda is being made visible to everyone. Leftists claiming that these are “honest mistakes” is a joke worthy of Loki! Even the most delusional of liberals is quaking in impotent rage at the truths revealed – that most of the media is not telling the truth but disseminating propaganda. The Big Lies only become true when told repeatedly to ignorant people. But when there is a Soldier of Christ who fights back by shining the light of truth on those black lies as Donald Trump has done then the truth is revealed as the shadows are torn away from the darkness. Another day, another lie: WaPo reporter Dave Weigel posted a picture of a Trump rally after the president bragged the venue was packed to the rafters. The picture was taken a few hours before the event began as it was filling and claimed that Trump lied to falsely inflate himself. But that doesn’t stop deranged liberals from claiming it was true because they were a few empty seats somewhere. They have been doing this since Inauguration Day when they did the same thing over the crowds of Trump vs. Obama’s. Just like the Alabama special senate election where the Democrat is leading Roy Moore in the polls just as they said Hillary led Trump. They deliberately lie about the polls in an attempt to discourage Republican voters. Trump constantly and righteously slaps down liberals for their lies while they constantly deride him for his generalizations as if he must only speak the perfect truth, which to liberals is always open to interpretation as they always exaggerate to the point of complete fabrication. Democrats constantly tell lies to dishearten Republicans and boost the morale of their lemmings. It would be an absolute crime against America if their propaganda were able to steal a senate seat from Trump and give it to the Swamp Rats. From the Republican side of the swamp John McCain opened his lying mouth to and, with what he said about globalism and nationalism, is the perfect representative of warped Democrat thinking. Like Democrats, McCain deliberately misconstrues Trump’s America First with isolationism. What he describes is exactly what Barack Hussein Obama did in diminishing America and subsidizing her enemies and McCain helped. All American Presidents have embraced America’s leadership in the world, especially since we won WWII, and been hailed as Leaders of the Free World – until Obama. Had it not been for America both Britain and Russian would have fallen to the Germans and the Pacific would be a Japanese lake. America crushed both Japan and Hitler’s dreams and then contained Stalinist Russia that enslaved Eastern Europe for forty years until it collapsed. For America to be the leader of the free world she must stand above all others, not be one of the pack. One does not lead from the middle of the herd. Obama thought he could lead from the rear, but his deal with Putin fell on its face leaving the two of them at such odds that Obama & Co. turned on him and now blame him for Trump. As if. Now that Trump is embracing America as the leader in the world once again peons like McCain, as any other dysfunctional liberal Democrat, thinks recognizing America’s greatness and leadership in the world as the greatest of free nations is isolationist nationalism of the Nazi Germany variety where Lebensraum was the order of the day. This liberal stupidity believing that the ideology of the far right is Nazism and the far left is Communism is constantly disproven by the righteous acts of liberty by the Right. Nazism and Communism are both leftwing ideologies of totalitarian socialist rule with one being the far left and the other being the far right of the Left. The true far right on the political scale is where true liberty lies. John McCain and his junior colleague Jeff Flake are both Republican saboteurs attempting to torpedo the agenda of Donald Trump in order to keep America safe for Democrat elites. McCain is the man who in 2008 surrendered the presidency to Obama – a foreign bred Moslem America hater. He and Romney are both dedicated to the Republican establishment. Flake even donated to the Democrat’s campaign in Alabama citing the unsubstantiated allegations against Moore of sexual misconduct forty years ago. It’s so easy for the swamp rats to take sides with Democrats over every lie they choose to tell. They join with Democrats against the people who elected them. They join hands with Democrats to blame America for Middle East conflict and climate change as if America has any power over either. The Democrats and RINOs are the ones who would make America small again and keep it that way so they can rule over a diminished people. Only Republicans under the leadership of man of Trump’s caliber can restore America to the role of great leader in the world that she held until less than a decade ago.